Caroline Buchanan is one of those people that people feel happy just being around or engaging with in conversation. She is just as relaxed on a mountain bike hurtling down a 50% gradient dodging trees as she is on a BMX bike flying at 55 kph over a 13 metre jump, teaching two year olds still in nappies to ride a balance bike, being in front of a TV camera, talking to 200 business people at a formal dinner or glamming up for an awards night or photo shoot. Her down to earth attitude makes her one of the most approachable athletes around today, even though she has won an impressive five elite World Championships, fifteen Australian National Championships and the wins keep coming. In 2013 she tested her physical and mental endurance by trying to win three elite World Championships in three different cycling disciplines in just 56 days on three different continents. She eclipsed all expectations by winning two of those World Championships and coming fifth in the third. Her achievements in 2013 earned Caroline the title of “Queen of Dirt” in the cycling world. She became the first cyclist in its fifty six year history, to win the coveted Sir Hubert Opperman Trophy as Australian Cyclist of the Year and was the third female to do so. She was the first cyclist from mountain bike or BMX to win the award. Caroline also won the Australian People’s Choice Cyclist of the Year, Elite Woman’s BMX Cyclist of the Year, Elite Woman’s Mountain Bike Cyclist of the Year. There were more awards to come that year as Caroline won the AIS Athlete of the Year jointly with Kim Crow and she was a finalist in both the ACT Young Australian of the Year and the Young Canberran of the Year. In 2014 Caroline went on to be Canberra’s only Australia Day Ambassador attending many of the Australia Day weekend functions. She assisted the Chair of the National Australia Day Council Board, Adam Gilchrist with Australian citizens after they had been welcomed by the then Governor General, Dame Quentin Bryce and Prime Minister Tony Abbott. She firmly believes that “overcoming what life throws at you makes you stronger” and Caroline has several other mottos that keep her on the straight and narrow of sporting excellence. Caroline is a great ambassador for the role of women in sport and now she has a profile that allows her to be heard and make a difference. Leading by example, she launched Buchanan Next Gen, an all girls BMX team set up to financially assist, mentor and promote the cause of women in one of her chosen sports. The team is made up of high achieving, gutsy young girls with great ambitions. Caroline raised over $10,000 necessary to send the youngsters to the BMX World Championships in Rotterdam. Her program was so well recognised she was asked to make a presentation at the 6th IWG World Conference on Women and Sport in Finland. In many circles Caroline is also known as the Queen of Social Media and has broken new ground through using many social media platforms to promote her sporting passions. 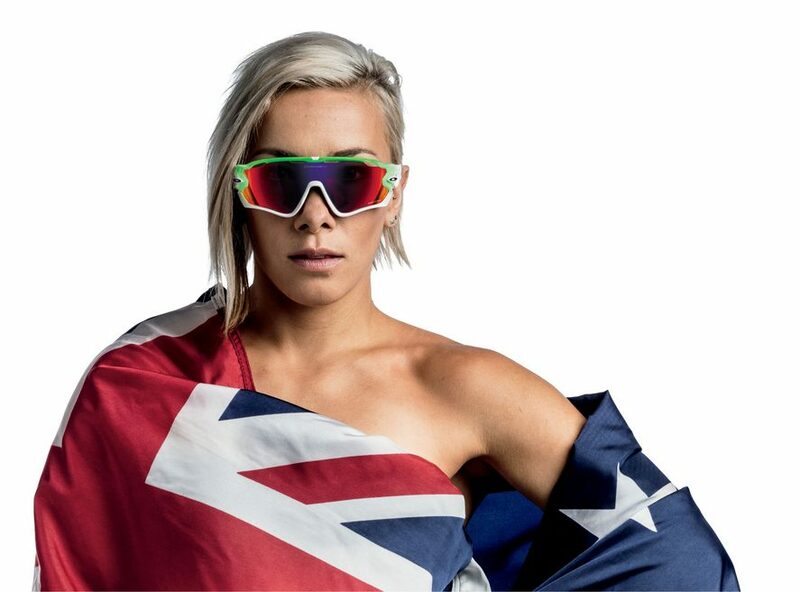 This year she launched her YouTube channel and has a series of video series called ‘Buchanan On Air’ allowing her fans an insight into her life, racing and the highs and lows of competing at the highest level. With her ever present smile and bubbly personality, Caroline is recognised and respected all over the world for her achievements, her passions, dedication, sense of humour, drive and approachability. 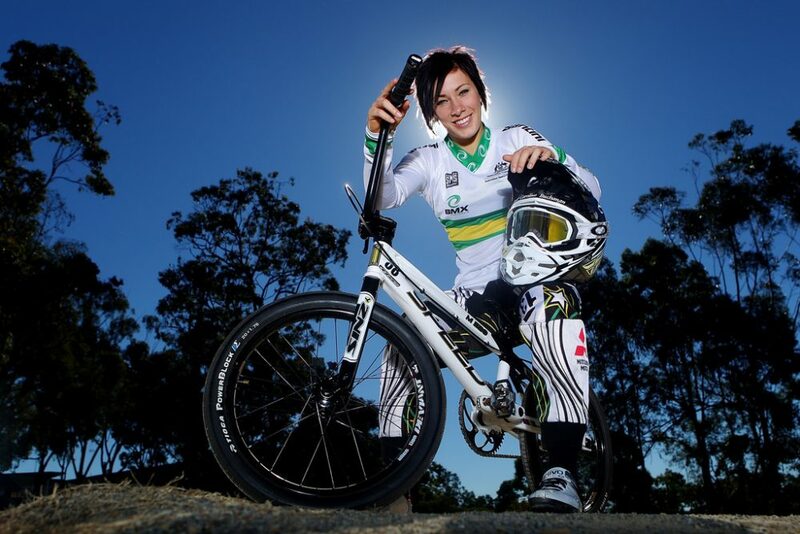 Caroline Buchanan is an Aussie BMX racer aiming for Olympic Gold at next years 2016 Rio Olympic Games. Growing up as a female in male dominated sport she has overcome many adversities including losing everything in the Canberra Bushfires, my brother breaking his neck and mistiming the gate start in the London Olympic final costing her an Olympic medal. She is constantly pushing the progression of BMX, herself and striving for equality in women’s sport. She has recently just launched her own signature kids balance bike & She mentor & run the worlds first all girls BMX team “Buchanan Next Gen”. She is very active on social media and has recently signed with Sony Australia, Weet-Bix, Rexona & Harley Davidson as their ambassadors.